XTM Multi-Function Firewalls WatchGuard XTM multi-function firewalls deliver stronger security, enhanced networking capabilities, and more management flexibility, as well as greater IT investment protection and customer choice. Next-Generation Firewalls The powerful protection enterprises need, with unparalleled visibility into real-time and historical user, network, and security activities. 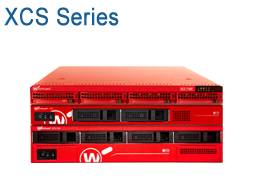 WatchGuard next-generation firewalls are designed for enterprises that can't afford downtime. XCS Content Security Take the heat off your email servers with a WatchGuard XCS security solution. You get stringent email security to block spam and email-borne threats at the perimeter, while preventing accidental or malicious data loss in outbound traffic. 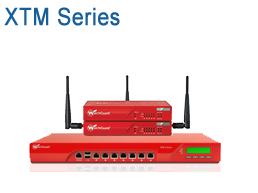 SSL VPN Remote Connectivity The WatchGuard SSL 100 & 560 are affordable, easy-to-use, secure remote access solutions providing reliable client and clientless connectivity to corporate data and resources. Keep your workers productive anywhere, anytime. 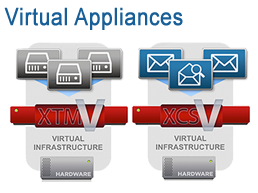 XTMv Virtual Firewalls WatchGuard XTM multi-function firewalls deliver stronger security, enhanced networking capabilities, and more management flexibility, as well as greater IT investment protection and customer choice. XCSv Virtual Content Security Introducing WatchGuard XCSv, the virtualized solution for businesses that need to block dangerous email and web traffic, protect valuable data, and attain high levels of regulatory compliance. 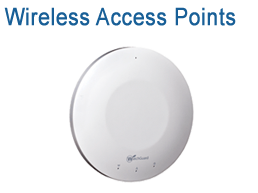 Wireless Access Points XTM Firewall with Wireless Capabilities or AP100/AP200 Wireless Access Point? WatchGuard Dimension makes sense of raw security data. Learn about RapidDeploy from WatchGuard Technologies, the innovative, cloud-based configuration capability that allows firewall appliances to securely configure themselves--dramatically reducing deployment time and costs. From a groundbreaking k-12 aquaponics program, to a partnership with NASA, Walker Schools is leading the country in creating educational opportunities that will prepare students for a changing world. Our specialists are expert in designing data center solutions and can help you create a plan for sourcing and deploying your WatchGuard solution. Optrics offers personalized WatchGuard product training - a service designed to help you integrate your WatchGuard solution smoothly into your network infrastructure.